A lot of people can move themselves. If you fall within this category, you might want to consider a DIY Moving company. However, if you decide to select a mover, what are the potential pitfalls in hiring a mover? Let’s consider Do It Yourself movers. What is a Do It Yourself mover and when would this be the right option for you? This is the most laborious moving service for anyone but if you're up to it, here are some thing to consider. This is where you have to rent a truck or container and then find your own people to help with your move. Even so, this is generally the least expensive option of the moving services, especially for larger move such as whole house moves. Roughly speaking, the starting range for two laborers is around $50+/hour per guy. Combine that with a truck rental and you could be looking at around $300 or more depending on how long it takes to move your household items. For smaller moves, flat rate moving services tend to work out better in your favor. Of course, when you move yourself, there is no insurance. This means that if anything gets damaged during the move, you cannot claim compensation. You can browse our website for great list of companies with great resources for finding a reputable do-it-yourself moving service. Moving can be expensive, traumatic, and really hard work. It can also help you to discover your real friends. Regardless of all other considerations, however, there are 5 things that you can do in order to make your relocation process more successful and less difficult for everyone. Set the day for your move as far in advance as possible. Begin to notify your closest family and friends of the date. If you belong to any club or organization, you might post a notice or make an announcement in case there are others that might be willing to help. Decide what size moving truck you will need, and reserve your moving vehicle far in advance. Decide what equipment and extra material you might need for the move and have it ready to go on your moving day. This might include refrigerator hand trucks, moving pads, hand trucks, and ties. Nothing takes the energy out of a move like a home where boxes are not taped or secured, televisions and stereos still have to be unwired, and the china is still in the cabinet. This increases the possibility of damage to your furnishings, in addition to dishevelling any organization you might have planned. Remember that the first half of the moving day is when you are going to have the most productivity and focus from your helpers. Do not let that part of the day go to waste. It is extremely helpful to have a plan of operation for people that have come to help you move. If you have a large group of people to help you, create a job list that might allow some people to begin in the kitchen and other people to start on the bedrooms. Some people will even use two rental trucks; one of the trucks will handle the boxes and small accessories, while the other truck is for the bulky furniture, refrigerators, stoves, and other heavy floor space items. The people that show up to help you move will greatly appreciate your advanced planning. Without hiring moving services, there is no way you can relocate. You need a moving truck for your operation. Not just any truck, but a cost effective one. With the current economy everyone is looking to save money wherever they can. It is not uncommon to rent your own moving truck and inviting all of your family and friends to come help you pack up and say bon voyage. If you don't have family and friends around, you hire movers to pack and unpack the truck for you. If you are moving yourself, here are some tips on renting a moving truck. The first thing you will need to know is what date you need the truck and how long are you going to rent it for. Figure out what day you will load up your belongings into the truck. Then calculate how much time it will take you to drive to your new location. If it is across town then no big deal; however if it is across the country this may require a little more planning. The best idea is to look at a map and set realistic goals for which city you wish to reach each day. Secondly, you need to figure out how big of a truck you want to rent. What you should do first is make an inventory list of your home. Now is also a good time to sell or donate item you don't need. If you haven't started packing estimate how many boxes you will have and then add 10 to that number. A general rule of thumb is you will need 150 cu. ft. of truck space per furnished room. 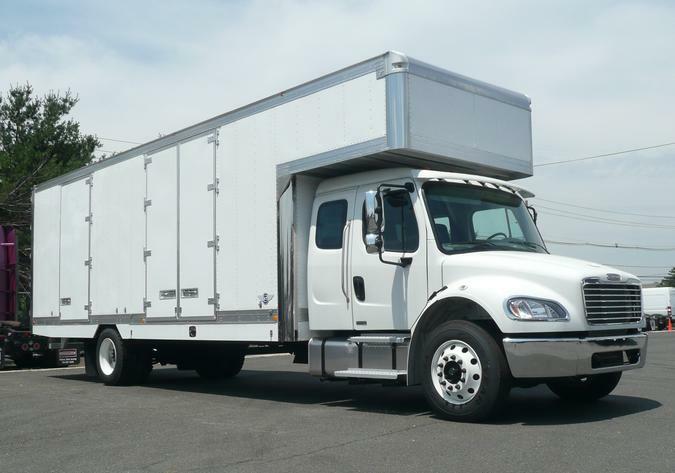 Once you have your moving date and truck size it's now time to shop around for a truck. Call up your local truck rental companies in your area but also look at rental car companies and home improvement stores. Alternatively you can search for moving services online. Don't forget to ask about insurance both for the truck and your belongings. Ask if the agency offers assessed value insurance, which can replace your items, should an accident or loss occur. Carefully ask questions of each insurance option and figure out what will work best for you. Also, check with your household insurance agency to see if they cover your move. If you’re not moving far or you don't have many valuables, then general insurance may be enough. So now it is time to move and you are having the last minute reservations about using movers to help you along. To be safe, use above guidelines to ease your burden. 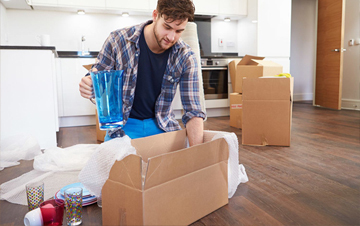 Moving be it from an office or your home can be a bit stressful since you are tasked with packing and unpacking things cautiously and properly to avoid damage to your property. Learn more about Local Movers. Need a full service mover that can disassemble, pack, load, transport, unload, unpack and re-assemble? Look no further, we are available for learn more about Full Service Movers. A lot of people can move themselves. If you fall within this category, you might want to consider a DIY Moving company. Learn More about DIY Moving. Suspendisse elementum dapibus orci, sed sagittis orci tempus feugiat. Fusce nisi felis, commodo vel tempor non, volutpat non elit. Nam sapien justo, ultricies eget facilisis nec, venenatis vel dui. Donec vitae lobortis Learn More. Contact our experienced piano movers to get modern piano handling on the move at very reasonable rates. You can expect professional handling during the moving process. Learn more about our Piano Movers. Planning a successful overseas move of all your items is always a nightmare if not properly thought out. Hiring international movers has more benefits than choosing local movers. International Movers. When moving your office from one place to another, you should always look for the best commercial movers in your area. Your business may suffer if you don't. A commercial move is much more involved and complicated than a home move. About Commercial Movers. Every approved moving company on our website will offer moving and storage services. Storage Facilities. Moving your household may look like a though job if you're going it alone. Just contact one of our professionals and let them take care of the job for you. More about our Residential Movers.